Why choose when you could have it all? Our day passes are an all-inclusive ticket to fun under the sun. For $79,95 you get to take advantage of unlimited land and sea rentals. It’s a great option for kids and families, whether you prefer kayaks, snorkeling, or spending the day on the beach, there is really something for everyone. 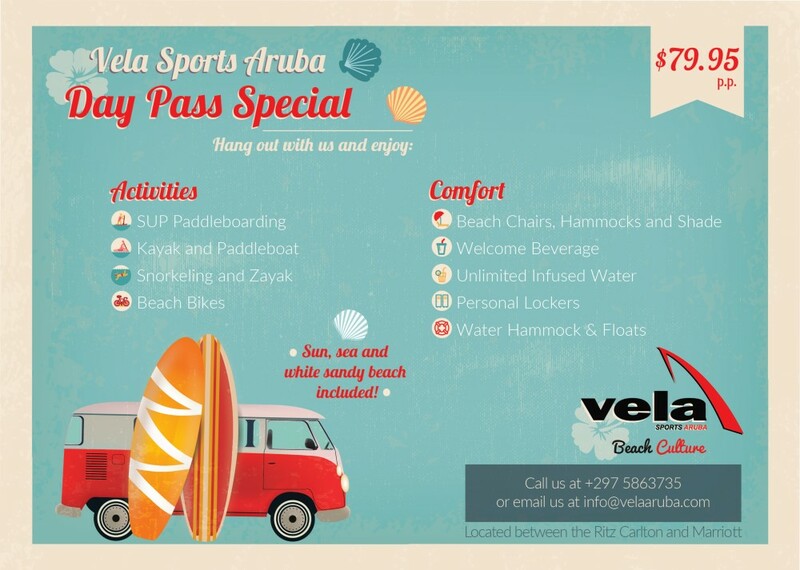 Spend the day with us, and we will show you a day of VELA fun!